Since 1917. Sure, you know lots of ways to make great tacos. 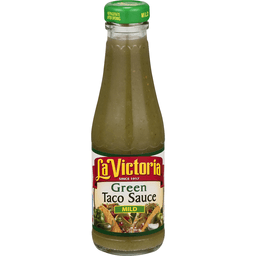 We know one way to make them all even bolder - La Victoria Green Taco Sauce! Cooks, get ready to bask in the praise! Gluten-free. Glass recycles where recycling is available. Since 1917. Sure, you know lots of ways to make great tacos. 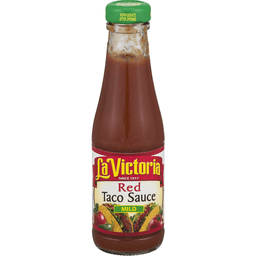 We know one way to make them all even bolder - La Victoria Red Taco Sauce! Cooks, get ready to bask in the praise! You. Victorious. Gluten free.